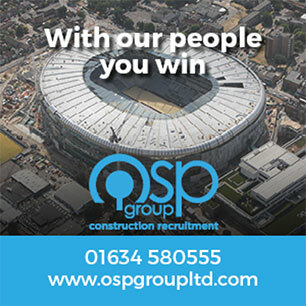 The close of the campaign is fast approaching and so we are inviting you to purchase your tickets and join us for our End of Season Presentation Evening on Friday 5th April at the St George Hotel in Chatham. Your evening will run from 7.30pm to midnight and consist of a free welcome drink, the end of season player awards (including the Supporters’ Player of the Year accolade), the players shirt auction giving you the chance to bid on jerseys worn by your Mos in 2018/19, a buffet and a disco. 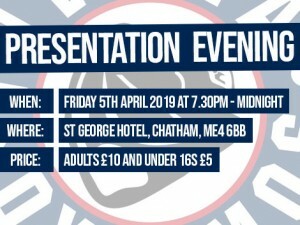 The evening will take place at St George Hotel on New Road in Chatham and supporters of all ages are welcome to attend and mingle with the players as we see off the 2018/19 campaign. Tickets for the End of Season Presentation Evening can be purchased at home games from Jackie Mason or Sarah Parrish or on the way into the venue on the night. When: Friday 5th April 2019 from 7.30pm until midnight. Price: Adults £10 and Under 16s £5.